Tommaso Bet is an Italian artist from Sacile. Academy of Fine Arts, Venice XX07. Scholarship / assistant professor for G. Quaresimin. His paintings, oil colors and industrial varnish on canvass, are made using a mix of brushes and spatulas techniques to create a duality of expressive styles, a dualism generating a quest of balance between image and matter, in a thin equilibrium between attraction and awe, beauty and the beast, a new Goth-pop with a strong cyberpunk trace. 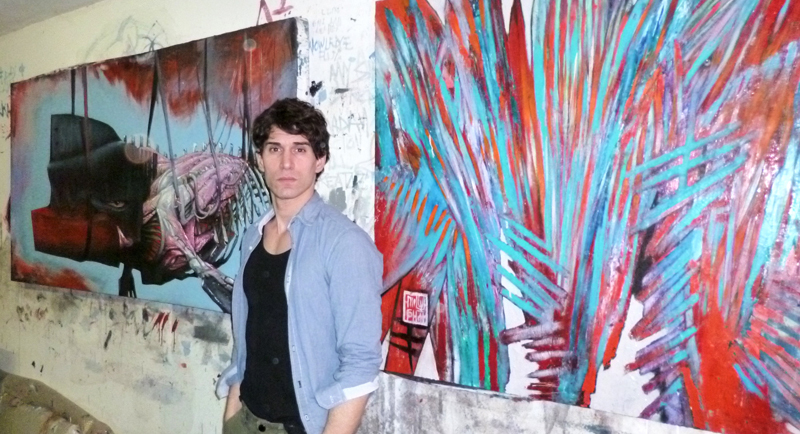 He started working with Giovanni Granzotto and GR Gallery in 2012. Solo Exhibition at Villa Brandolini. Solo Exhibition at Villa Viotto. Solo Exhibition at Archivo Afro casina Giustiniani in Villa Borghese.